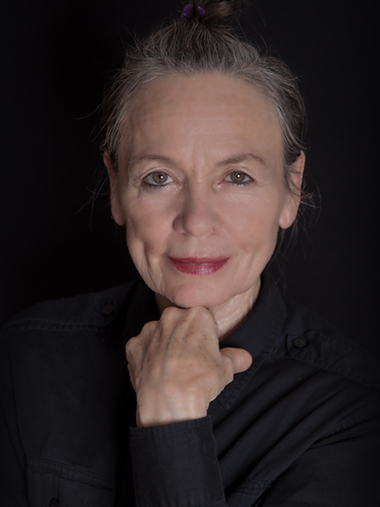 In a coup for the Gold Coast, multi-award winner and fearless pioneer Laurie Anderson will be the first International Artist in Residence at HOTA, Home of the Arts. One of the world’s most prolific and unique performance artists –Laurie will perform a series of her incredible boundary-pushing works indoors and out at HOTA in June. Laurie Anderson is one of America’s most renowned – and daring – creative pioneers. Known primarily for her multimedia presentations, she has cast herself in roles as varied as visual artist, composer, poet, photographer, filmmaker, electronics whiz, vocalist, and instrumentalist. As a composer, Anderson has contributed music to films by Wim Wenders and Jonathan Demme; dance pieces by Bill T. Jones, Trisha Brown, Molissa Fenley, and a score for Robert LePage’s theatre production, Far Side of the Moon. She has created pieces for National Public Radio, The BBC, and Expo ‘92 in Seville. In 1997 she curated the two-week Meltdown Festival at Royal Festival Hall in London. Recognised worldwide as a ground-breaking leader in the use of technology in the arts, Anderson collaborated with Interval Research Corporation in the exploration of new creative tools, including the Talking Stick. She created the introduction sequence for the first segment of the PBS special Art 21, a series about Art in the 21st century. Her exhibition Boat curated by Vito Schnabel opened in May 2012. She has recently finished residencies at both CAP in UCLA in Los Angeles and EMPAC in Troy New York. Her film Heart of a Dog was chosen as an official selection of the 2015 Venice and Toronto Film Festivals. In the same year, her exhibition Habeas Corpus opened at the Park Avenue Armory to wide critical acclaim and in 2016 she was the recipient of Yoko Ono’s Courage Award for the Arts for that project. Over the course of her residency at HOTA, Home of the Arts in June, Laurie brings a series of performances, each promising a unique and immersive experience. This immersive voyage takes listeners on an incredible journey of discovery, guided by stories emerging from total darkness. Playing with memory, time and visualisation, Laurie Anderson’s multichannel soundscapes create and destroy mental movies that explore mystery and adventure in collaboration with the audience. Compositions imagined, and re-imagined – music, sound and stories from the darkness. Laurie Anderson starts her HOTA season with a rare double bill of strings – one an Australian premiere, the other a world premiere. The Language of the Future explores the concept of the now – how we react to the hallucinogenic rush of information that greets us, bombards us and demands our attention. What do we make of the playing out of current events and how do we absorb the nature of politics, what are the talking heads really trying to say and do? Story, song, electronics, and imagery, with the artist’s familiar themes of love, war, communication and history woven in – the art, the language of Laurie Anderson. The Great Liberation Through Hearing in the Bardo – or Tibetan Book of the Dead, is an ancient text used to guide the newly departed through states encountered between death and reincarnation; or liberation from the cycle of rebirth. The international performer, singer Tenzin Choegyal joins avant-garde legend Laurie Anderson to present a musical interpretation of the treasured words and images of the ancient Bardo texts. Transcend into an immersive experience with Laurie Anderson and Tenzin Choegyal, as they invoke the teachings and imagery of The Great Liberation Through Hearing in the Bardo as the ever-dissolving Bardo – sky, water, earth, and fire. Previously performed in New York, London and Brighton, Concert for Dogs is composed of melodies, frequencies and riffs especially created to entertain dogs and their accompanying humans. Sound, music and voice combine to elicit moments of wonder and joy. As part of this event at the Outdoor Stage, there will be other quirky dog-related activities such as a Dogs that look like their Humans competition, DOGA Dog Yoga by Hot Tropical Yoga and a special screening of the film Heart of a Dog. In 2015 Anderson directed the film Heart of a Dog inspired by her terrier Lolabelle and dedicated to her late husband Lou Reed. Dreamy and engaging, the film traverse’s themes of life, love both given and received, the journey of death, the fallibility of language and a whole lot of other things. A film about things that are very sad, but with a lot of joy. Laurie Anderson is a luminary of language. Her recent book, All The Things I Lost In The Flood, Essays on Pictures, Language and Code is about all the things that represent her career, era, and personal experience. In it she examines the power and perils of language and storytelling, dissecting the relationship between words and images – provoking questions about beauty, time, reality, and memory. And so, the conversation begins. In her final performance as 2018 International Artist in Residence at HOTA, Laurie Anderson engages in conversation about stories and language with local writers and artists. There is a curiosity, a thirst for language and knowledge that is communicated in the most imaginative and original of ways in a Laurie Anderson performance. Join in the conversation at HOTA and you’ll understand why Anderson is considered one of America’s most celebrated artists.